Alexandria Ocasio-Cortez notwithstanding, the big winners in the midterms were moderate Democrats. 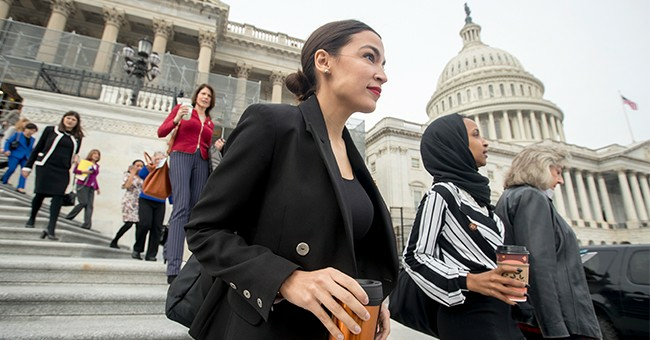 Speaker Nancy Pelosi and other party leaders carefully salted swing districts with young candidates who appealed to minorities, college-educated women and suburbanites who want solutions to problems in their daily lives, not a socialist revolution. The Great Blue wave of radical progressivism never materialized. Elizabeth Warren, who led a national effort to elect progressive candidates like Richard Cordray for governor in Ohio and Katie Porter for the House in California, largely flamed out. The moderate Democrats who snatched Republican seats mostly ran on clean government and incremental improvements to health care — not mindless opposition to President Donald Trump or advocacy of socialized medicine. Still health-care costs have spun out of sight, because the Affordable Care Act enables drug companies, hospitals, large insurers and large-group practices of specialists to monopolize and impose outlandish prices in national and regional markets. Just as Democrats should give up on the idea of a single-payer system based on confiscatory taxes on upper-income Americans, Republicans must wake up to the hard reality that competition in many health-care markets is rigged. In a divided Congress, oversight could cast a discerning focus on monopoly exploitation to coax a reluctant Justice Department to start prosecuting abusers. Together, the two parties need to fashion legislation that requires drug companies, hospitals, insurers and medical professionals to benchmark prices against those fetched in prosperous northern European countries with insurance-based payments systems. An increasingly urban society requires better commuter-mass transit and intercity connections. Financing infrastructure runs smack into the exorbitant costs imposed by cumbersome regulations and costly delays imposed by federal, state and local agencies. Engaging Trump on regulatory reform and encouraging a special dialogue with governors about prohibitive delays could help. Still trillions more dollars are needed but the federal deficit is already too big and someone has to pay. Many members of Congress reflexively balk at higher gas taxes and user-fees solutions but Leaders Pelosi and Chuck Schumer could triangulate the issue with Trump. On immigration, the movement toward a common-sense compromise to realign U.S. policy to place great emphasis on admitting immigrants with skills in short supply, a greater capacity to quickly assimilate and attributes less threatening to struggling rural communities has some bipartisan support, but little enthusiasm from the Democratic leadership. The Supreme Court may soon permit Trump to end President Barack Obama’s DACA program and that would force reluctant Democrats to the table on broader reforms. If they balk, those young people face deportation and neither party should count on exploiting that spectacle — incumbents of all stripes would catch voters’ ire. On trade and the broader economy, Democratic congressional leaders like to exploit Trump’s missteps — for example, putting tariffs on imported components that force U.S. manufacturers to offshore even more and his targeting of our allies with tariffs. Many Democrats in Congress recognize China’s criminal behavior is a menace to American prosperity and security. A steady, private dialogue that links their support for congressional approval of the new North American free trade deal to Trump trading in his spray gun for a more focused trade rifle would help broaden their party’s appeal to working-class voters. Trump’s economy is doing well and finally raising wages. Able-bodied adults on the sidelines are rejoining the workforce but to maintain an elevated pace of growth without running into crippling shortages of engineers, technicians and other skilled workers requires Democrats to support immigration reform and make the recent tax cuts permanent. That will require the Democrats to shelve their tropism for higher taxes on upper-income Americans and for the president to give up on yet more budget-busting tax cuts. Alternatively, both sides could go after the “carried interest” tax break for Wall Street’s financial engineers — those levy lower capital gains tax rates on income that should rightly be classified as wage income. All this may disappoint the combative political instincts of Pelosi and Trump but winning long-term majorities—holding power by governing effectively—requires moving to where the American people really stand—in the pragmatic center.